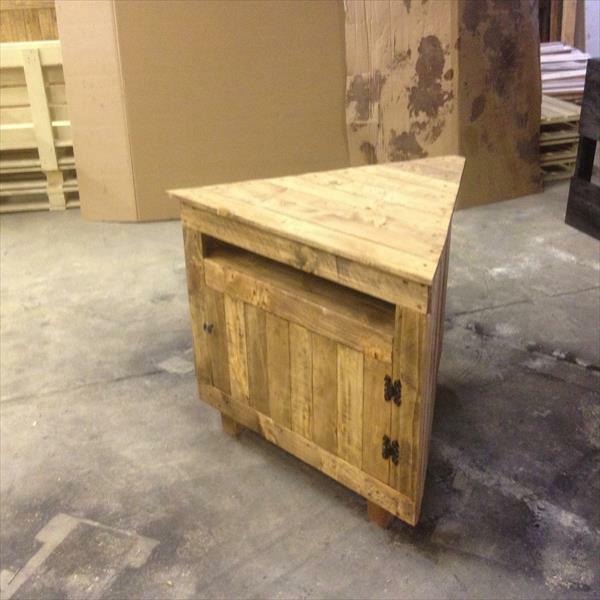 We try to stimulate your creativity about pallet wood recycling as there is much more to get out of pallets to enjoy comfortable and highly functional routines. 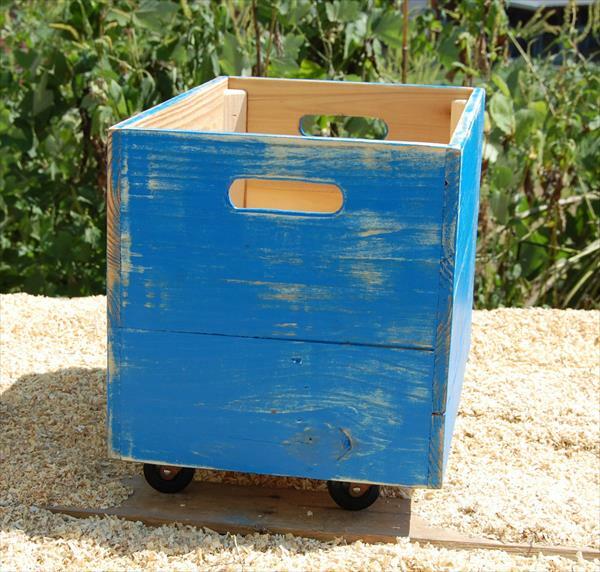 This time we are going to share a small but functional DIY pallet project with you. 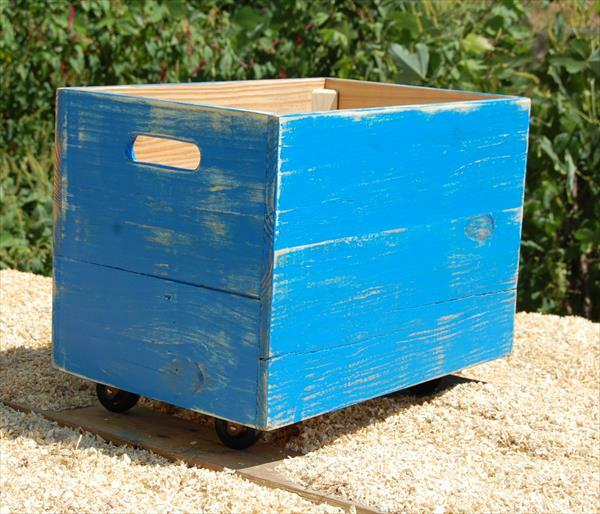 Take a closed view of this DIY pallet rolling crate, purely made with pallets and industrial casters. It is very best for transportation of some light weight deliveries of household. 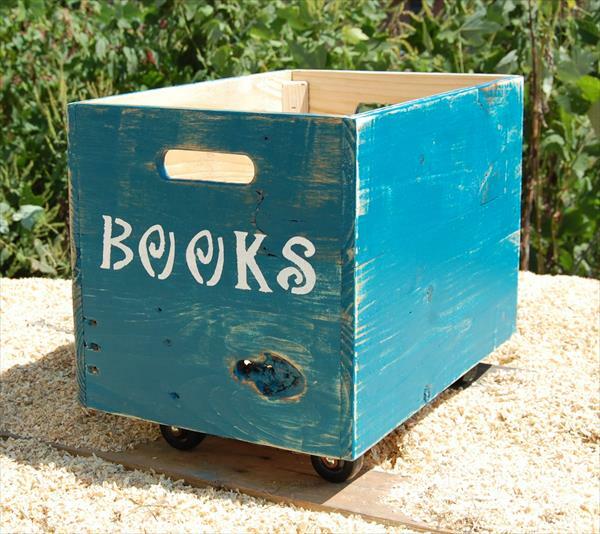 It can store very well the kid’s toys and your favorite collection of readable books. 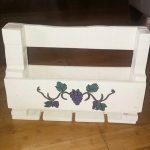 If you are conscious about your garden decors then you can also turn it into a rolling DIY pallet garden planter as there are endless ways to use this handmade pallet box shape. 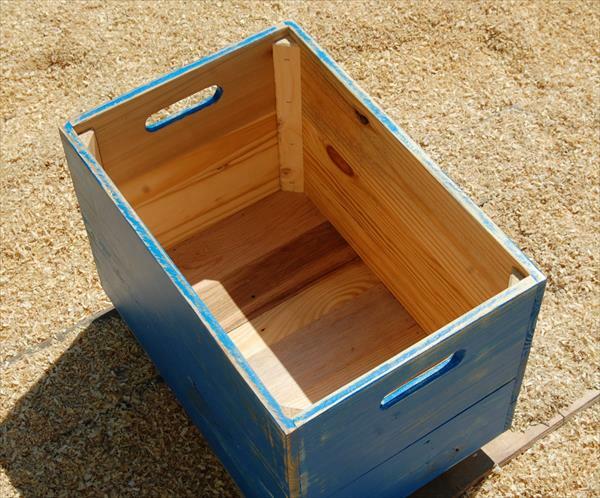 Pallet wood has been sanded through hand rubbing using medium grit of sand paper and this fabulous pallet furniture has been finished using blue shade of paint which looks much magnetizing and pleasing to eyes. 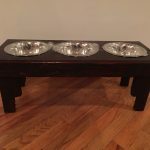 There are also side handles to lift it over easily.